Myotis formosus (Hodgson, 1835) distributes over the countries like Afghanistan, Tibet, India, Nepal, Vietnam, China and Taiwan. Formosan Golden Bat in Taiwan is a subspecies, and its scientific name is Myotis formosus flavus (Shamel, 1944). Native people call them “dao-diao-lian”, because they hang upside down in the trees. 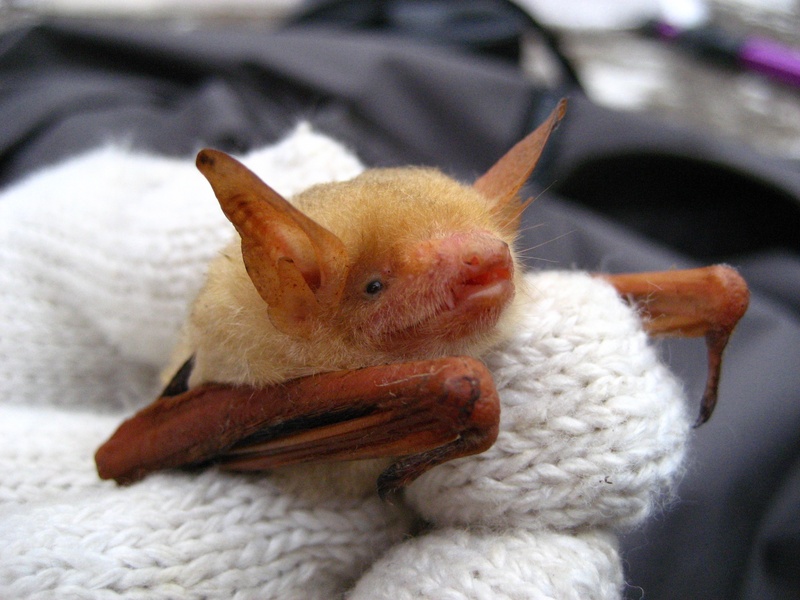 They are also called “golden bat” because of their golden and shiny fur. Large numbers of golden bat come from the mountain to the plain for breeding during the days around the birthday of Chinese sea goddess, Matsu. It is just like they are coming for celebrating Matsu’s birthday; therefore, people also call them “Matsu's bat”. The body size of the female bat is bigger than the male bat. 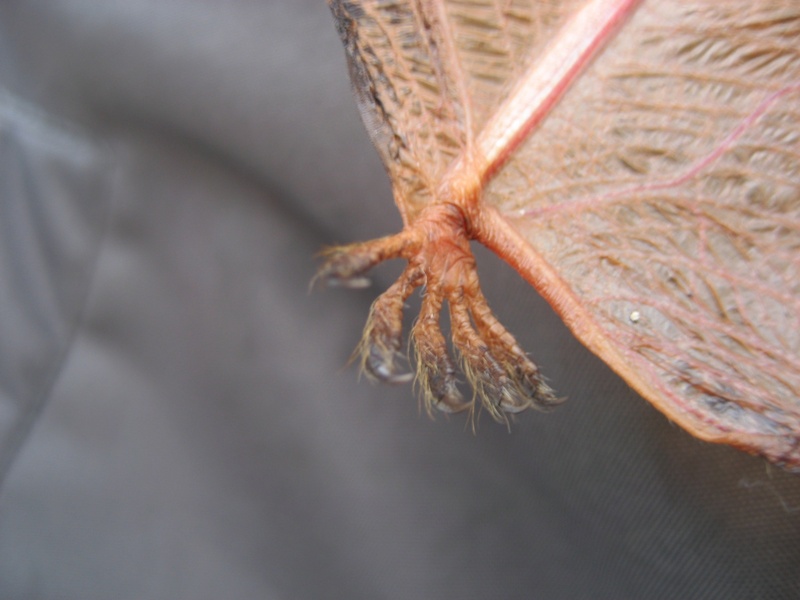 The body length is about 5-6 cm, the forearm is about 5 cm, the wingspan is about 32 cm, the teeth are 2/3, 1/1, 3/3, 3/3 = 38, the chromosome number 2n = 44. 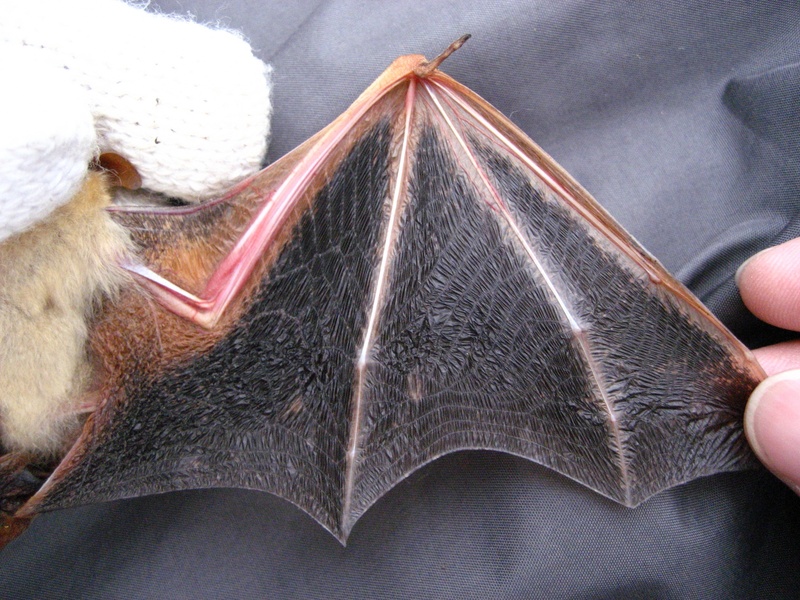 Formosan Golden Bat is a migratory animal. They preying on scarab, mosquitoes, and moth. We can find them in trees or around the residential district in summer. Some records show that they are at high altitudes for hibernation in winter. They change their roost in the range of 100 m. During this time, each individual will get together and some will get apart, and this situation is called the fission-fusion social structure. 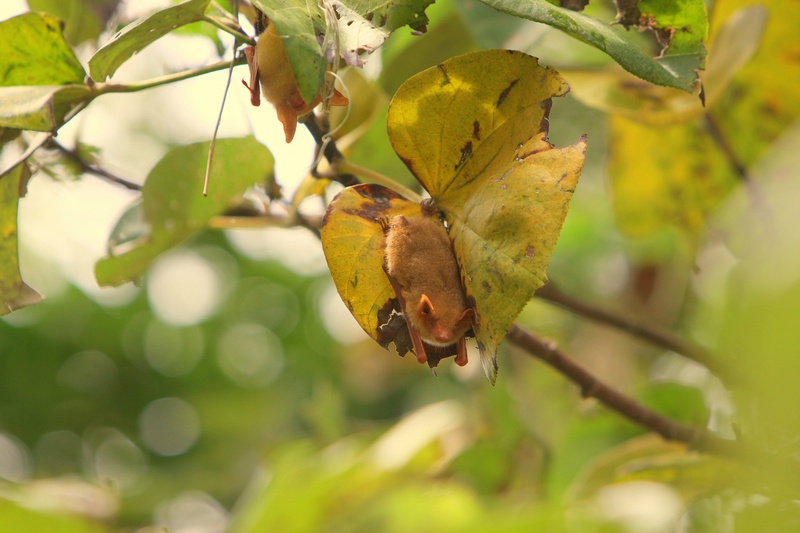 Unfortunately, the population of Formosan Golden Bat is decreasing in 20 years. The reason might be the humans activates caused the great damages, such as habitat destroyed, pollution of insecticides, felling trees, light pollution, and environment changed. Now Formosan Golden Bat is listed in the level of “Nationally Vulnerable”species in the Red List of Terrestrial Mammals of Taiwan, 2017.